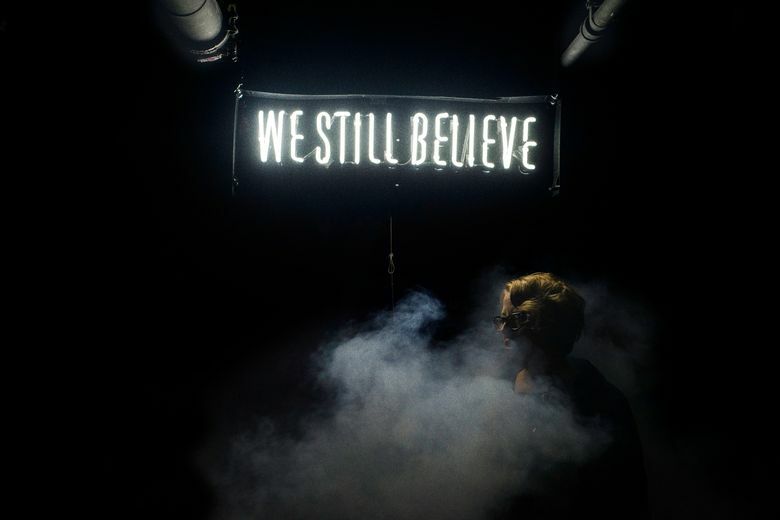 Marea Stamper, aka The Black Madonna, is on the lineup for the Decibel Festival. Six acts to see at the 12th annual festival. The New York-based/Chilean-American artist plays with tempo like taffy. Preferring hazy and lazy beats with an ethereal sheen, he explores the space between each kickdrum. With Stimmhalt, IG88. 9 p.m. Wednesday, Sept. 23, at The Showbox, 1426 First Ave.; $26.75 advance. (206-628-3151 or showboxpresents.com). Berlin DJ/ producer Dettman favors speed, playing and making techno that’s as hard and fast as a bullet train; flinty beats are splashed with soaring keys and horns, a sound reminiscent of one of Detroit techno’s originators, Jeff Mills. With Function, Vril. 2:15 a.m.-7 a.m., Saturday, Sept. 26, at Q., 1426 Broadway; $22 advance (206-432-9306 or qnightclub.com). Discwoman is a New York City-based collective of female promoters and booking agents who put on female-focused events in different cities. Here, the lineup of ladies (and one dude) is as varied and experimental as it comes — JLin owes as much of her sound to Chicago jackin’ erratic beats as she does to industrial music’s dark underbelly; Experimental Housewife plays with ambient’s unstructured canvas; and Seattle’s Bardo: Basho’s eerie, otherworldly soundscapes could serve as a score for a horror movie. 10 p.m. Thursday, Sept. 24 at Re-bar, 1114 Howell St.; $17 advance. (206-233-9873 or rebarseattle.com). The godfathers of experimental, weirdy-beardy techno, the Warp Records duo have been around long enough to see dance music’s numerous fads fade, all the while remaining to true to their unique, heady style — which can be difficult, disjointed and jarring. An acquired taste to be sure. Opening is the classically trained, Berlin-based Laurel Halo whose sound is complementary, but more populist than Autechre’s, pairing her glacial atmospheres with complicated beat structures. With Rob Hall, Cygnus. 9:30 p.m. Friday, Sept. 25, at The Showbox, 1426 First Ave., $32 advance (206-628-3151 or showboxpresents.com). Bonobo’s music is the chilled-out bliss of the late-afternoon sun set to a beat. It’s fitting, then, that the Ninja Tune artist is headlining a night titled “Sublime.” His 2013 record “The North Borders” highlighted his penchant for melodic earworms and eclectic stylistic range. When he plays live, it’s with a huge band; tonight, though, he returns to his roots as a DJ. With Taylor McFerrin, Manatee Commune and Gilligan Moss. 9:30 p.m. Saturday, Sept. 26, at the Showbox, 1426 First Ave., $32 advance. (206-628-3151 or showboxpresents.com). When trip-hop became de rigueur in the ’90s, Washington, D.C., duo Thievery Corporation found itself counted in the company of Massive Attack and Portishead. They were closer in vibe, though, to Austria’s Kruder and Dorfmeister. Thievery’s relaxed bossa nova beats paired with electronic music’s more synthetic sounds made the perfect soundtrack for every hotel bar aiming to be hip. Though the sands of time have shifted rapidly in dance music, Thievery has doubled down on its dub-influenced, loungey sound. The more things change …. With Shaprece, IG88. 7:30 p.m. Sunday, Sept. 27, at the Showbox SoDo, 1700 First Ave. S.; $44.99 advance (206-652-0444 or showboxpresents.com).